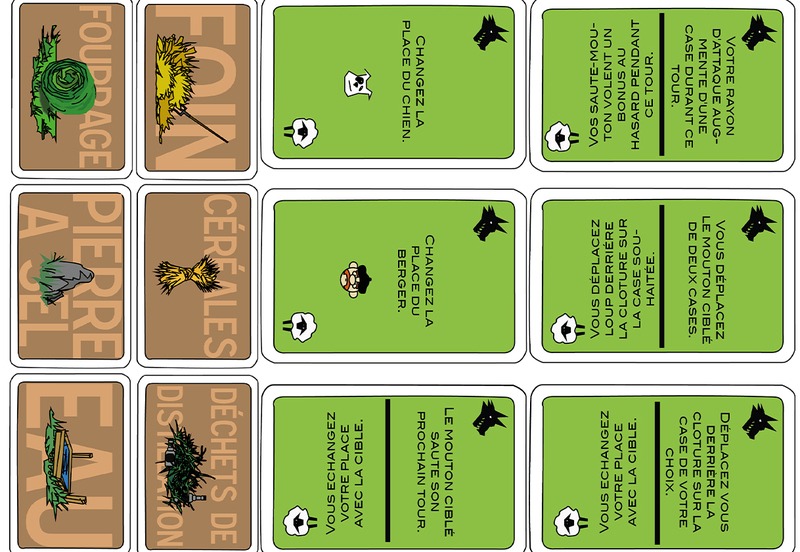 Saute-Mouton is a board game for four players. 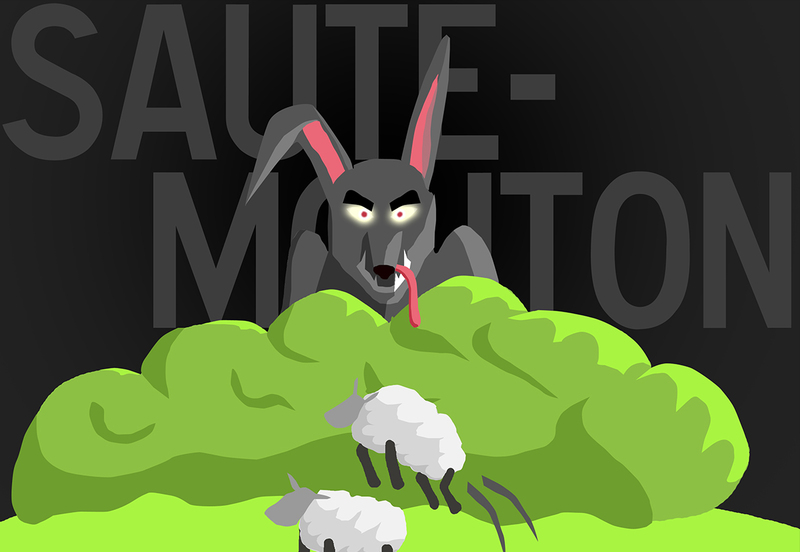 In this game, three players play as sheeps, and the last player is the wolf. On a board made of hexagons, the sheeps have to collect different ingredients before the wolf eats them. Instead of a dice game, we preferred to integrate the move by different cards, in order to have a balanced game. Of course, the sheeps and the wolf have different efects and actions. And, as the name of the name suggests it, it is possible to jump over the other players to go faster !